Hands down, one of the highlights of Drake's 2016 album, Views, is the New Orleans bounce-sampling track, "Child's Play." 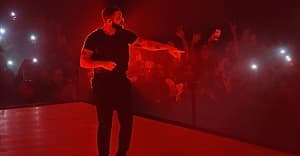 Rumors surfaced months ago that the rapper had begun filming the video for the song in Houston, but now the final product has surfaced, and with model-turned-TV host Tyra Banks as Drake's cantankerous main squeeze no less. Watch the 12-minute clip above via Apple Music.